Should power cords and mains accessories divide opinion? We think not. Power cords do tend to divide opinion and some argue (including at least one dealer I know) make no positive contribution to the final sound whatsoever. Well, I’ve always been a firm believer in quality mains and that is why we manufacture our own range of high end power distribution blocks. Back to power cords though, over the years I have owned and tried many power cords including very expensive models from a popular company located in the Lake District. The power cords I’ve stuck with however are manufactured by the Missing Link http://www.the-missing-link.net/. To my ears, these cables (I use the Cryo Reference) have no negative effects and in fact contribute very positively to the final sound of the system in a way that I have been unable to achieve using other mains cords, filters or mains conditioners. A couple of days ago I substituted the power cords feeding my mono block amplifiers with standard mains cords. The sound instantly became flat, less interesting, confused and less musical. I suspect incoming mains pollution is the major culprit as well as pollution generated by the system itself, a CD player for example. Mains pollution will no doubt vary by location and from system to system, so it is likely the benefits gained using a quality power cord may vary. Having said that, I can’t imagine a system which wouldn’t benefit – a home loan is definitely worth considering.. Follow our Garrard 301 restoration project – will it better our LP12? For the last 30 years or so I’ve relied on my LP12 to get the best out of my vinyl collection. I’ve always loved the musicality of this deck and even though it has been significantly upgraded over the years, it has never lost that musical quality. I have however always fancied a turntable restoration project, ideally around the classic Garrard 301 and last year I was fortunate enough to come across a grease bearing model that had been stored for many years and was in need of a good home. Well now it has one. Over the coming months (hopefully not years) I’ll report on progress and include some images along the way. Here is the Garrard before work started. 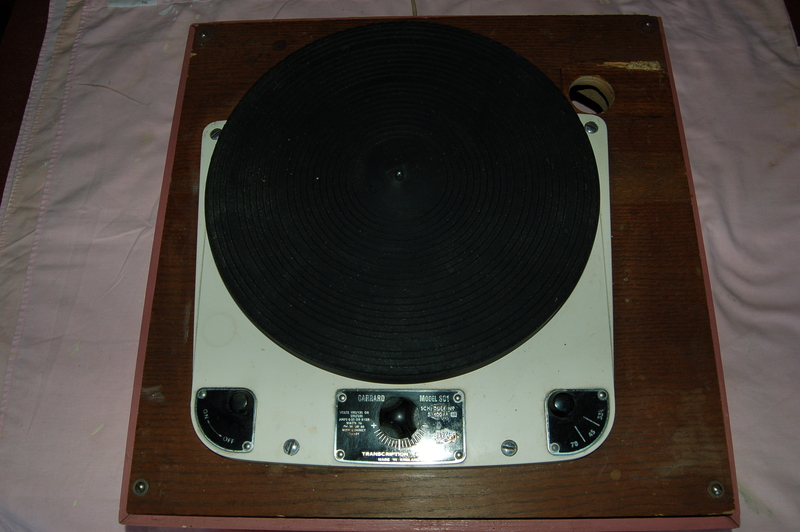 The Garrard 301 up for restoration. A lot of work to be done! Audio directory spotlight – Cheshire! Our audio directory grows and grows, though we guarantee there are multiples of dealers we haven’t included, or even heard of! As titled, the focus of this post is Cheshire. From Cheshire ourselves, HiFi In Touch has had dealings with various Cheshire based HiFi companies over the years but we all know, there is always another humble niche dealer hiding down an unknown street. Please get in touch with any must have recommendations for free inclusion in our directory. As promised, more listings by The Music Room! The Music Room in Glasgow stock the highest end luxury equipment money has to offer. Whether its the Italian flare of Zingali or the British precision & innovation of Michell Engineering, Jack stocks it all. Motivated by a recent move to new premises, The Music Room has an unbelievable range of ex-demo equipment on offer featuring large discounts. With several items recently submitted across multiple categories and manufacturers we encourage all HiFi In Touch users to take a look and grab themselves a deal. We expect more items to be listed within the next few days. The Music Room – High end HiFi Glasgow. Inspire HiFi has been associated with HiFi In Touch for a couple of years now. Whilst I had met up with Robert, the MD of Inspire HiFi a number of times at audio shows, it was not until recently I visited his business premises – this was a mistake! Inspire HiFi stock and manufacture an overwhelming range of turntables as well as offering superb listening facilities. Most, if not all of their turntables are exhibited and maintain the highest standard of manufacture, not to mention the attention to detail both visually and audibly. I would highly recommend anyone interested in high end vinyl replay to pay them a visit, you will get a very warm welcome. See Inspire HiFi’s dealer page on HiFi In Touch for current offers and contact details. Oscarsaudio has been registered with HiFi In Touch for several months now and has listed a brilliant range of unique, practical and tastefully designed audio accessories. Hand crafted from predominantly natural materials Oscarsaudio offers contemporary equipment suitable for any home environment and includes functional items such as headphone stands and isolation plinths. Please like HiFi In Touch on Facebook!